Express Entry is a new selection criteria in which a candidate will be entered into a pool in which IRCC will select the candidates depending on their score and will be invited to apply. However, the candidate must satisfy one of the 3 categories in order to be part of the Express Entry pool. Except for the Federal Skilled Trades Class, a job offer is not required. However, a valid job offer can greatly increase eligibility and Express Entry invitation. Sometimes, a provincial nominee candidate will be invited to the Express Entry by the province. Candidates are qualified and ranked based on language ability, age, work experience, education, adaptability, job offer and provincially nominated. We can discuss on how to improve your chances of getting invited assuming you qualify. For assistance or advice, please do not hesitate to Contact Us. 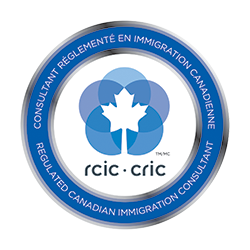 We are a full service immigration and business consulting firm in which we assess the best possible way for our client to immigrate to Canada. © 2018 Racer Immigration Consulting Inc. All Rights Reserved.